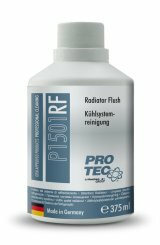 Removes operationally caused deposits throughout the complete cooling system, removes limestone and scale deposits, eliminates rust and corrosion, dissolves dangerous radiator sludge and cleans water coolers and heat exchanger. Valves, thermostats and water pumps run smoothly again. The product guarantees a longer life span of the system and improved heating and cooling performance. For use in all water-cooled engines. Add the product to the used coolant at every coolant exchange. Run the system for approx. 15 - 40 minutes and drain the fluid afterwards. 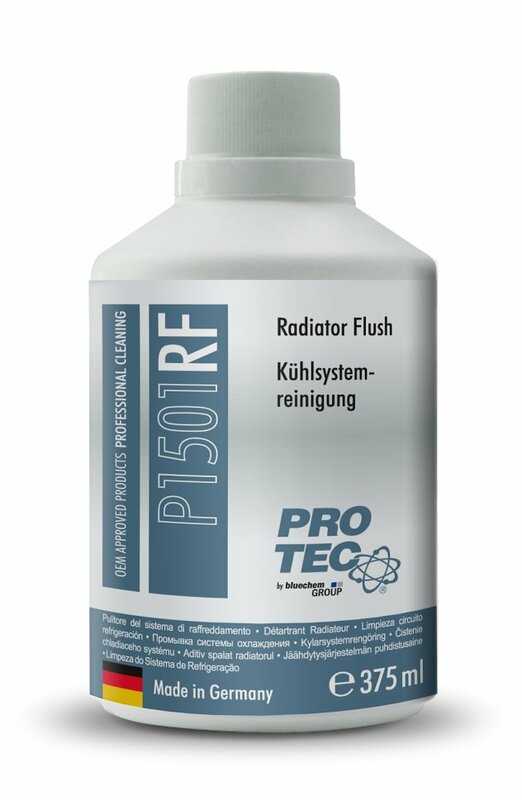 Rinse the cooling system thoroughly with clear water! Afterwards carry out the exchange of the coolant in accordance to the manufacturer’s instructions. 375 ml sufficient to treat cooling systems of 5 to 10 litres capacity. For lower or higher filling quantities, decrease or increase the product’s application amount by 50 ml per 1 litre coolant. 15 - 40 min. depending on the size of the system.